Payne, Colonel Lewis S. (1891-1898).htm · We Are Lumberjacks and We're OK! Col. Lewis S. Payne was born in the town of Riga, Monroe county, N. Y., January 21, 1819, the son of Stephen and Ruth A. (Smith) Payne. The Payne family is of honorable New England ancestry and its founder in the New World was of Puritan stock. His paternal grandfather, Aepba Payne, was a native and lifelong resident of Massachusetts. He was a soldier in the war of 1812. His son, Stephen Payne, father of Colonel Payne, was born in 1790, in Hinesdale, Mass., settling in Monroe county when a young man. He died at the residence of his son, Colonel Payne, at North Tonawanda, February 11, 1880, in the ninetieth year of his age. Col. Lewis S. Payne was educated in the common school and High School in Monroe county. At the age of sixteen he became a clerk in a mercantile house in Tonawanda, and five years later he and a fellow clerk purchased the business in which they had been employed. Four years afterward the partnership was dissolved and Mr. Payne accepted a position as clerk in Buffalo, remaining there four years. In 1847 he built the first steam saw mill in North Tonawanda, which he operated for nine years, after which he engaged in the lumber business for several years. In the fall of 1861 Mr. Payne, at his own expense, raised a volunteer company, of which he was made captain, and which was attached to the 100th N. Y. Vol. Regiment, later becoming a part of Casey's Division of the Army of the Potomac. The l00th N. Y. Regiment, with Colonel Payne leading his company, participated in the battles of Williamsburg, Seven Pines, White Oak Swamp, Malvern Hill among others. Later on he and his company made many daring expeditions from the vicinity of Charleston, and the information thereby gained was of great value to the Union cause. On the night of August 3, 1863, while engaged on Morris Island in intercepting communication with Fort Sumter, he was attacked by a superior Confederate force. A desperate engagement followed, in which Colonel Payne was wounded in the head by a musket ball, taken prisoner and conveyed to Charleston, where he was confined in the Queen Street Hospital Later he was removed to Columbia, S. C, and February 14, 1865, he was sent to Wilmington, N. C, where he was exchanged March 5. Soon after his imprisonment ended he was commissioned lieutenant-colonel. In 1840 Colonel Payne married Mary Tabor, of Ithaca, N. Y., and they have six children: Emily R., wife of George Crandall, of Will- iamsport, Pa.; Eugene R., who resides in Williamsport ; Ida, Mrs. George McCray, of Buffalo; Edward C, of Decatur, Ala.; Lewis C, a lawyer at North Tonawanda, and Cornelia R., wife of Lyman Stanley. Col. Payne is a member of Tonawanda Lodge No. 247, F, & A. M., and a vestryman of St. Mark's P. E. church. Politically Colonel Payne is an aggressive Democrat, and has served in nearly every office in tlie gift of his town. In 1850 he was elected clerk of Niagara county on the National Whig ticket and in 1859 was nominated for State senator in the Twenty-ninth New York district, but was defeated. 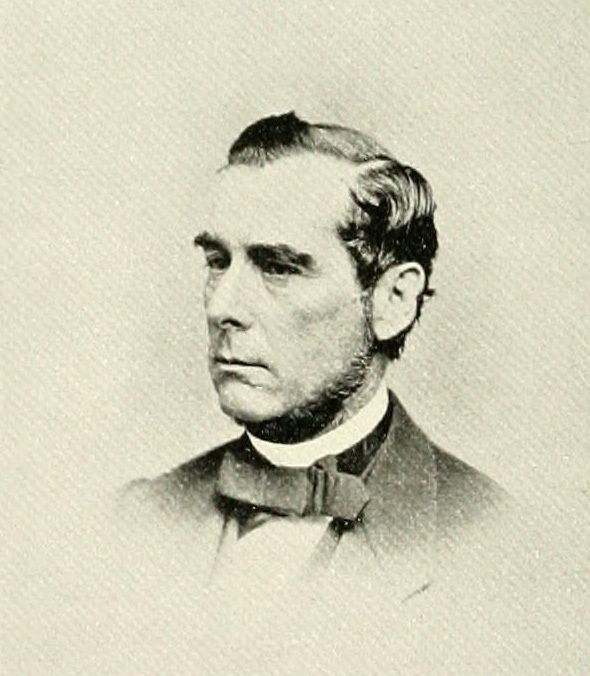 In 1865 he was again elected county clerk on the Democratic ticket, and in 1869 was elected to the Assembly. In 1877 he was elected State senator from the Twenty-ninth district. In 1883 he was the Democratic can- didate for Congress in his district, but was unable to overcome the big Republican majority in his district. Colonel Payne has always stood high in the esteem of his fellow townsmen and ranks as one of the foremost citizens of Niagara county. He dies April 11, 1898.